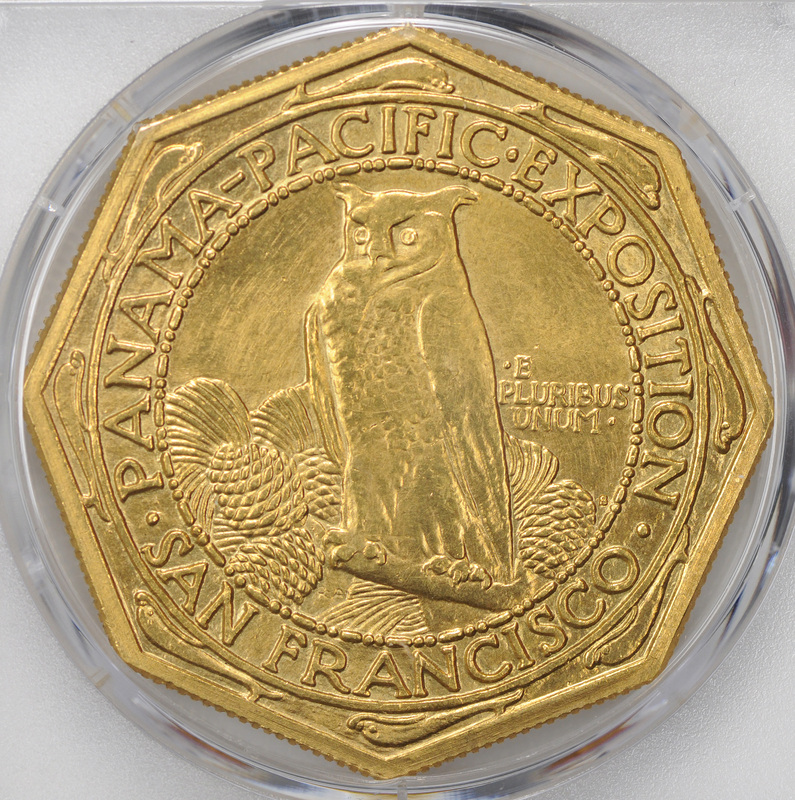 In 1915, San Francisco opened the gates of the Panama-Pacific International Exposition. The exposition, a World’s Fair, was a celebration of the opening of the Panama Canal in the previous year. 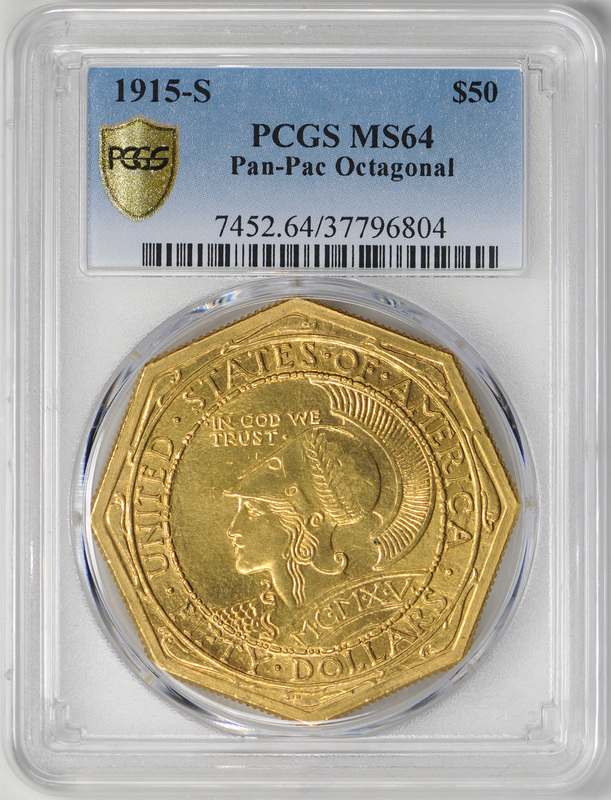 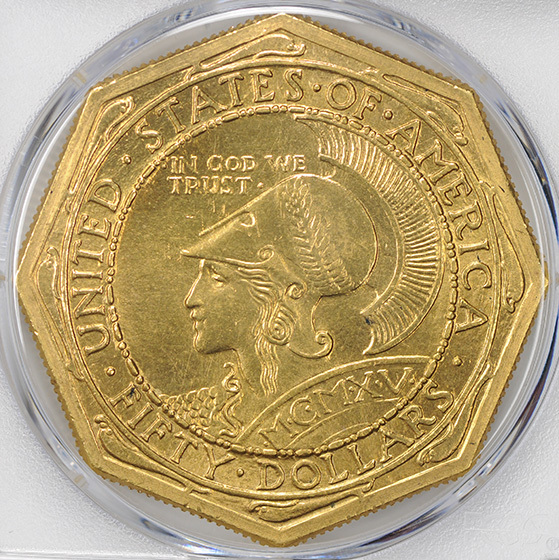 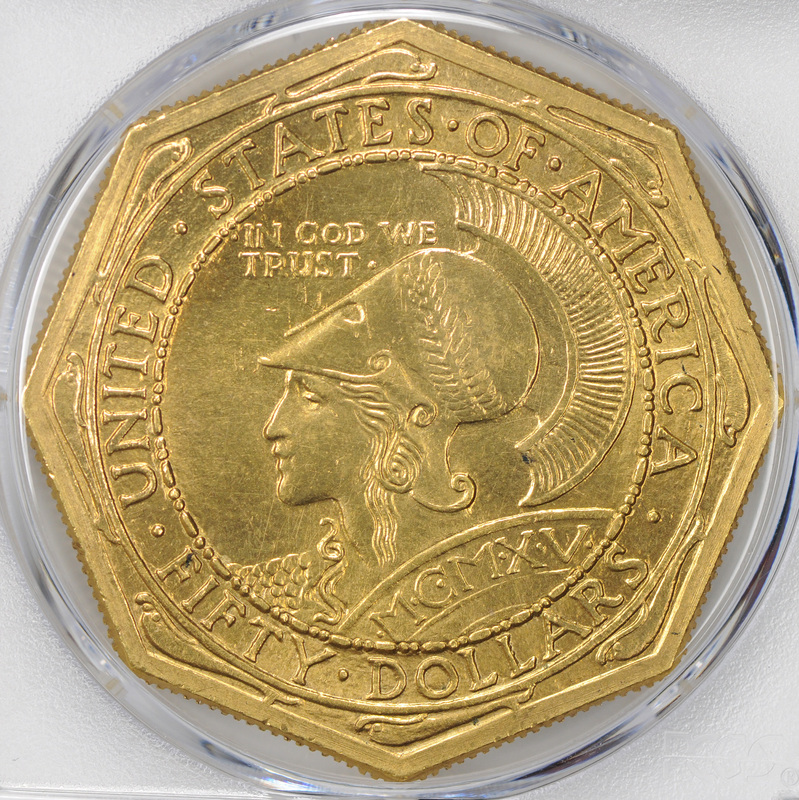 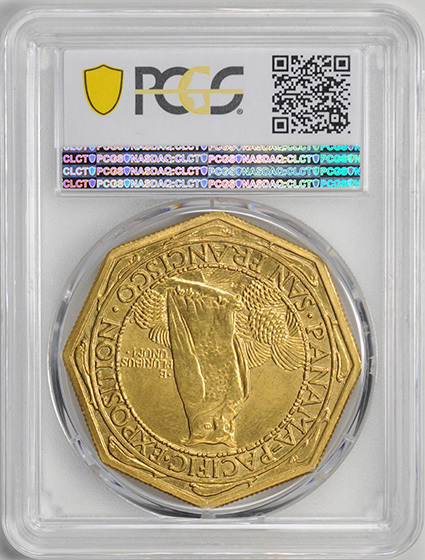 This $50 dollar gold coin was minted in San Francisco to commemorate the momentous occasion and sold on the fairgrounds, at the booth of Farran Zerbe, for $100.